Our big tree had to go for a haircut. Our tree doctor told us that several branches had begun to pose a threat, and I could see exactly what he meant. The current drought added to my uneasiness, and so, with many apologies to the tree and the nest of harrier-hawks that had taken up residence, an appointment was made. And so, our tree now has a re-styled look, still the same staggering height, but less wide. Guests are free to suggest names for the new look. One of the highest branches on which the nest had been built wasn't touched, and the harrier-hawks are still there. They are magnificent creatures. More than once I have been startled when a shadow briefly separated me from the sun, and looking up, I saw the hawk settling on another tree. Their characteristic call has become well-known to us, and this will be a memory to carry, similar to the magic of hosting our martial eagles. The cherry-picker, as the truck is known, drove over the garden beds, chewed up the pebbles and pavers, and it has taken weeks to begin to get the garden back. Still quite a way to go, but it's happening. Wally has shaped an initiative called the Story Clinic. Some workshops, presentations and interactive sessions have been held, for example, at the local art gallery, with the CANSA support group, and at the Kalk Bay Bookshop in Cape Town. His background as professor of English and his training in homeopathic medicine have contributed to this venture. The interest is growing because of his novel approach, which combines the sense of story, the sense of meaning, attention, intention, emotion and non-differentiated pathology. One's life and one's body are more like a story than anything else, and once this is grasped, the question of how to read and act on one's own health changes. At the moment, via nosyrosy.co.za a free 3-4 hour experience is offered to anyone who books two nights at Saint du Barrys. Feel free to take advantage! 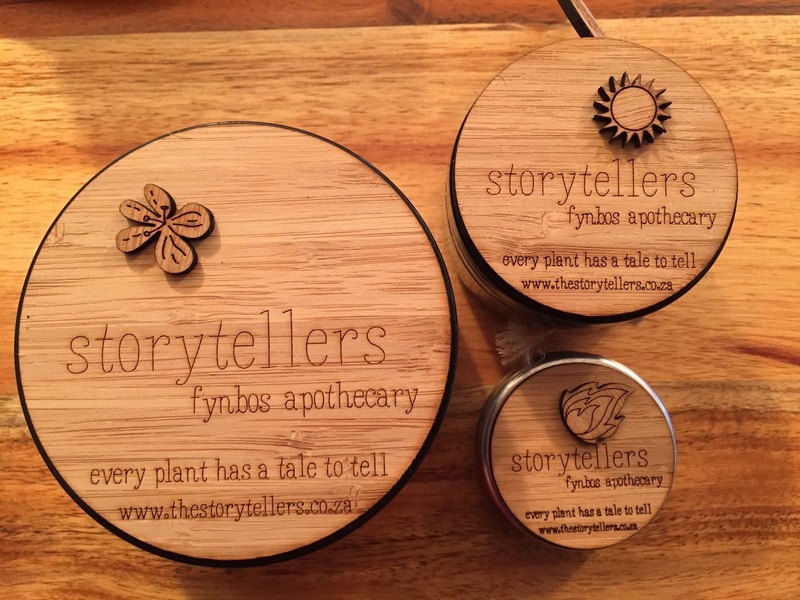 New products from The Storytellers Apothecary. Quite coincidentally, which is how stories seem to work, new products arrived at Saint du Barrys, and are available along with the range of rooibos toiletries provided in our bathrooms, and are also for sale. 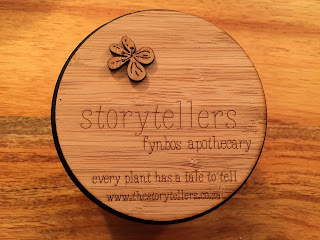 There has been a great deal of interest in these, which include soaps, bath-salts moisturisers, balms, spritzers and sun-blocks, and contain ingredients that include rose-geranium, lemon-grass, rooibos, cancer bush, buchu. The plants are grown close to Saint du Barrys, here in the Cederberg, and the manufacturing is home-based. We're fortunate to have such carefully-crafted plant-inspired people-centred products available. The packaging and presentation are compellingly attractive. Perhaps the owner herself could tell her own story on a later blog. As we rebuild our garden, become acquainted with a new family of hawks and move into the next season, it's striking how the blurring of the present and the next present occurs. Greeting guests who have often come becomes a matter of the heart more than professional courtesy, and wondering where the next sense of connection will occur is an intriguing experience. We often consider what guests are looking for, on their travels, and hope they find something soul-satisfying at Saint du Barrys. That would give us our own sense of joy and accomplishment. For the love of a guest-house.